Ideas are powerful and they can dramatically alter and determine the actions of your life. If you want different action, though, you must develop different ideas. A key question that needs to be answered in order to initiate new action is where do ideas come from? The answer is that they can arrive from anywhere but they often appear in the shape of “idea seeds”. These seeds may come from reading an inspiring book, listening to a great speaker, thinking about new concepts, or simply a thought that seems to pop in your mind after a conversation with friends. In order for those idea seeds to influence action, though, they must be planted first! Ideas rarely appear fully developed and ready to bear fruit. They often have to be planted as tiny seeds and then allowed the time to be nurtured and fertilized before they begin to grow, expand, morph, and ultimately yield an abundant harvest. If you don’t take the time to “plant” the idea seeds, when they appear, they can simply waste away due to the weakness of our short-term memory. Writing down idea seeds in your journal firmly implants them in the deeper recesses of the soil of your mind where they begin to grow and take on their ultimate shape. Just like the planting of seeds in a garden, there are factors that favor the gestation or birth of ideas. Just as a single kernel of corn will yield a thousand kernels if allowed to grow, the discipline of capturing ideas tends to yield an abundance of ideas. Successful germination of seeds often requires a seedbed. Your journal is the perfect “seedbed” for you to plant the idea seeds by writing them down and letting them begin to germinate. The concept of a seedbed is to create the ideal environment for seeds to sprout. The soil is loose and rich and has just the right amount of moisture, warmth and light for germination. Throughout history a journal has been the seedbed for the idea seeds of the great thinkers. Ideas that start out as simple observations get planted and allowed to grow. Their idea seeds often resulted simply from their observations of the world around them. A perfect example of an idea seed is the story of the development of Velcro by George de Mestral. 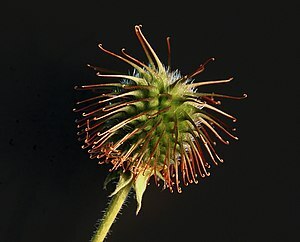 After a walk in the woods with his dog, Mestral noticed burrs (seed pods) clinging to the animal’s fur. He took a sample of the burr and looked at it under a microscope and saw the small hooks that allowed it to latch onto the dogs’ hair. He came up with the idea of reproducing that phenomenon in a factory in order to create a new fastener to replace the zipper. After many years of nurturing the idea it bore fruit and is now a multimillion dollar industry. Using a journal to plant the tiniest seeds of ideas, as they are occur in your mind, has proven throughout history to yield astounding benefits. It has created the great books, inventions, speeches and works of art that we all can enjoy today. What great things will occur in your life from the ideas you write in your journal today? Your ideas of today will propel the actions you take tomorrow. I hope you’re planting great ones! « Creating Your Future a’ la Tesla!